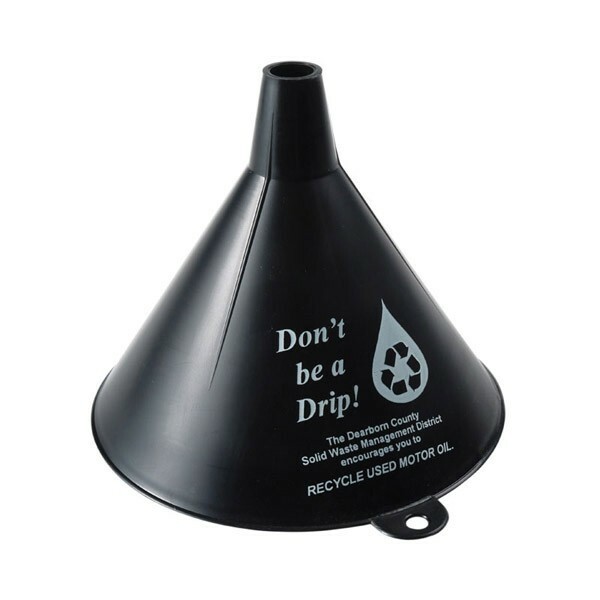 One Pint Funnel is the fast, easy and mess-free way to add oil or other fluids in a variety of applications. Great for community oil recycling programs. Price includes one color one side imprint. - Custom Colors Available 10 000 Minimum Order.